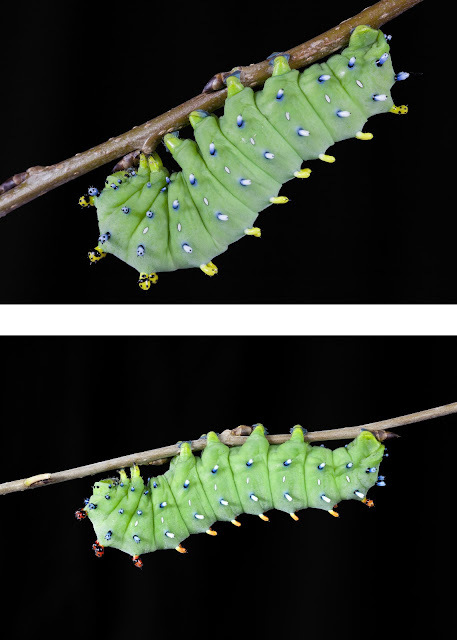 Two fifth instar caterpillars from the same brood from Pinos Altos Mexico. The top specimen is the typical coloration of the tubercles. The bottom one appears to be a polymorphic variation suggesting a transition zone?